Lincad, one of the leading British battery designers and manufacturers, will be exhibiting at Eurosatory – the world’s largest international defence and security exhibition for land and air – taking place in Paris from 13 to 17 June. At Eurosatory, Lincad will celebrate 30 years of successful business supplying batteries, chargers and power management systems for defence, security and other sectors by hosting a drinks reception for clients, industry contacts and members of the press. Lincad will also showcase its multi-chemistry, multi-purpose Caravel Mk2 battery charger and its ability to easily discharge lithium-ion batteries ready for transport under the new IATA regulations. In addition, the Lincad stand will feature a range of Lincad’s batteries, representing the very latest in lithium-ion powered battery technology and design. Alongside its impressive portfolio of batteries, chargers and power management systems, Lincad also supplies a range of commercial off-the-shelf (COTS) products, and is looking forward to meeting existing and potential new customers to discuss its products and services. 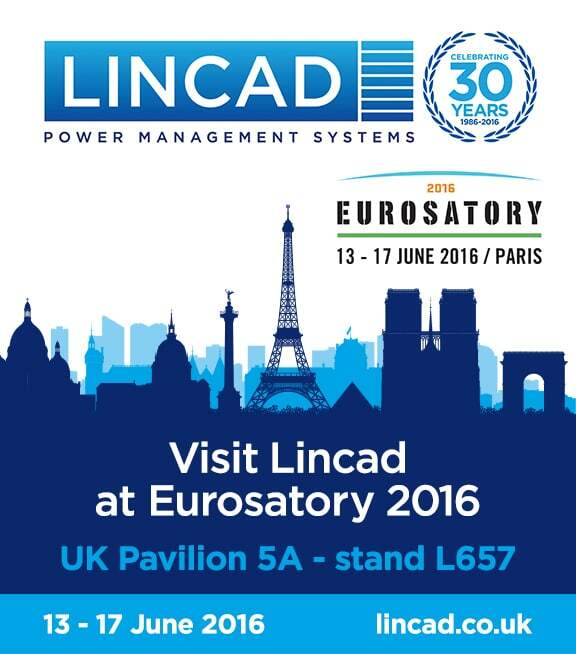 Lincad will be located at Eurosatory in the UK Pavilion 5a – stand no. L657.